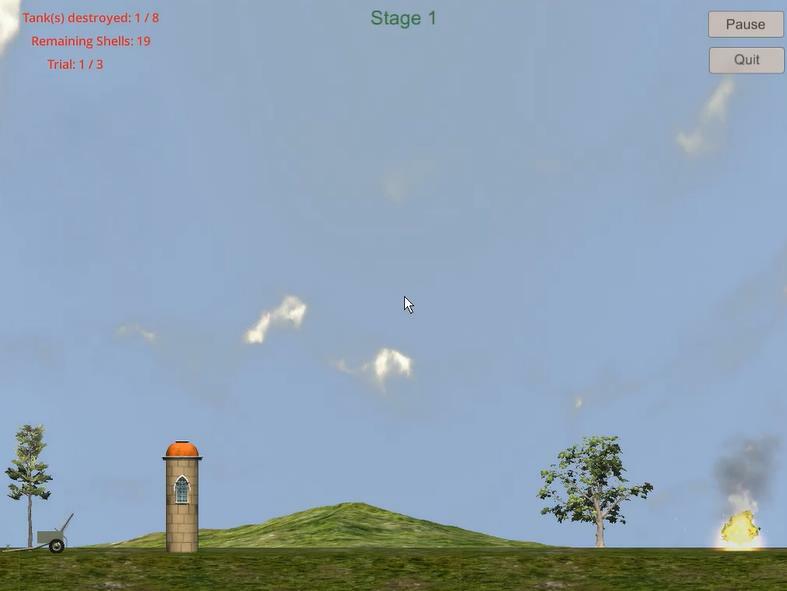 The game is to destroy enemy tanks bombarding them with a gun and consists of three stages. The tanks displacement mode varies from one stage to another, and it becomes increasingly difficult to destroy these tanks. 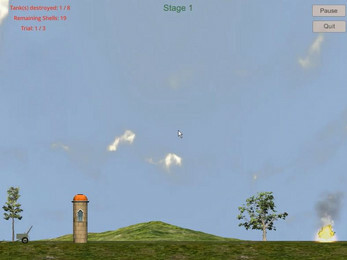 The firing of shells is triggered by a click on the left mouse button. To target a tank, you have to change the gun shooting angle by moving the mouse cursor vertically. 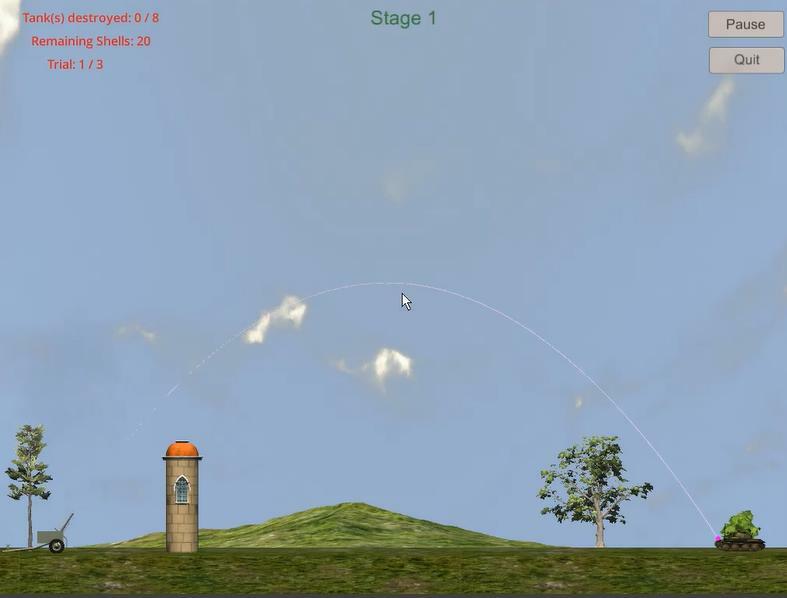 For each stage, you have a stock of ammunition, and a number of tanks to destroy. Each tank appears only for a certain period. To win a stage, you must destroy a predetermined minimum number of tanks. To win the game, you have to win three stages in succession. Each stage can be played up to three times. 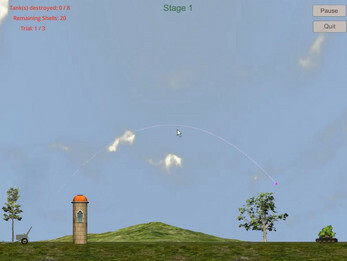 - The tower in front of the gun is hit by a shell. 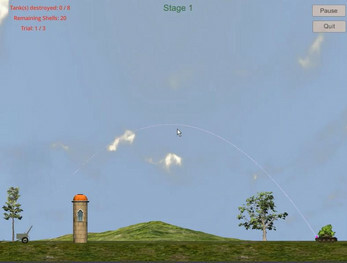 The game can be simply launched using Mozilla Firefox or UnityWebPlayer.